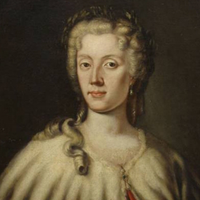 Laura Maria Caterina Bassi Verati - or Veratti (1711-1778) was the world's first woman university professor, and was born in Bologna on 29 October 1711. In 1732, the Senate and the University of Bologna, having awarded her a degree in Philosophy, appointed her to the chair of Physics (then known as Natural Philosophy), at a time in which women were generally excluded from intellectual professions and learning. That year she also became the first woman to be elected to the Academy of the Institute for Sciences in Bologna. Laura Bassi fought continuously to obtain equal conditions in teaching pursuing an intellectual and professional career in public teaching and research institutions at a time in which, in Italy and across the world, the universities and the world of academia were exclusively male environments. The many studies conducted in recent years into her life have highlighted the important role she played in Italy in spreading Newtonian Physics and pioneering research on electricity. A brilliant philosophy teacher, despite having many children she continued to teach and in 1776 was given the chair of experimental physics at the Institute of Science established by Marsili. Her peers considered her to be an exceptionally intelligent woman, equally talented in Latin, Logic, Metaphysics, Natural Philosophy, Algebra, Geometry, Greek and French. She maintained ties with the greatest scholars of her time, from Volta to Voltaire, as well as other illustrious names of the era who, travelling through Bologna, wished to make her acquaintance. Laura Bassi's dissertations, kept at the Academy of Science in Bologna (one on chemistry, thirteen on physics, eleven on hydraulics, two on mathematics, one on mechanics and one on technology) bear witness to her role in the scientific debate of her time.